Winderweedle, Haines, Ward and Woodman, P.A. 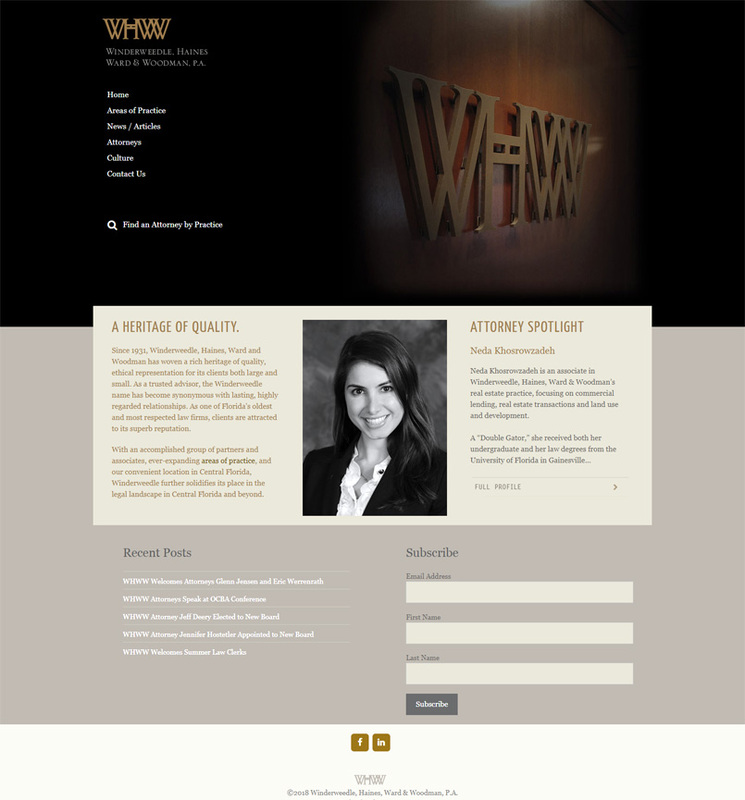 As one of Florida's oldest and most respected law firms, clients are attracted to its superb reputation. With an accomplished group of partners and associates, ever-expanding areas of practice, Winderweedle, Haines, Ward and Woodman solidifies its place in the legal landscape in Central Florida and beyond.